For a while now, it’s been pretty difficult to buy a home in many areas of the country. That’s because home prices have increased faster than wages plus inventory has been very low. Will any of that change this year? 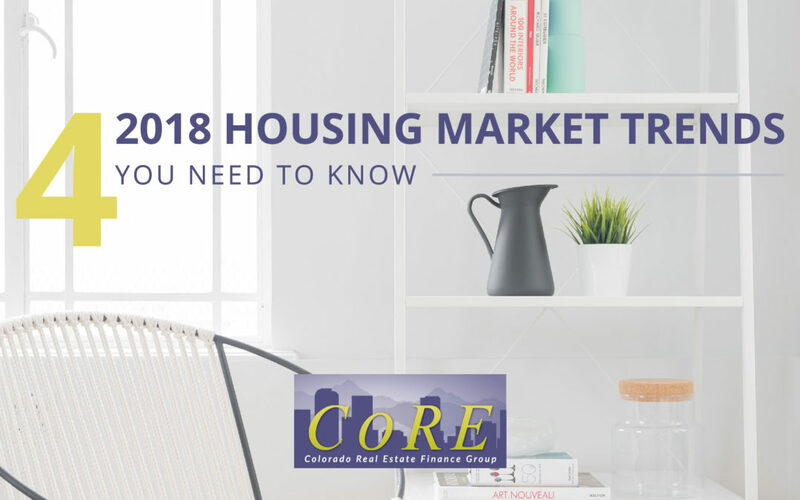 Here are our top four “must know” predictions for the 2018 housing market. First-time home buyers are still struggling to buy homes. There simply aren’t enough affordably-priced homes available. Home prices have increased faster than wages. This makes it hard for them to save up enough of a down payment. Also, Millennials are dominating the housing market. And since many of them will be first-time buyers, they’ll likely to continue to do so for a while—there are over 80 million in the country. Also, after a decade of declining homeownership rates, the rate finally increased in 2017 (to 63.9%). The homeownership rate will continue to rise as more Millennials buy homes. Almost every part of the country is struggling with not having enough homes for sale. In fact, home inventory was down 10% in December of 2017 over December of 2016. For over a year, experts have predicted that this problem would get better, but it hasn’t happened yet. Instead, it’s continued to get worse. Low inventory causes other problems, too—bidding wars and the super quick home appreciation in the country’s hottest markets. So why hasn’t new construction risen faster? High land prices, lack of skilled labor, and local regulations have all taken a toll. Plus, last year’s flood and fire disasters diverted construction resources to the areas that most needed construction work. But now more single-family homes are being constructed, and home prices can’t rise forever. Many expect inventory to pick up slightly in 2018. We’ll keep our fingers crossed. December 2017 was the 70th straight month of year-over-year price gains (meaning December 2017 was higher than December 2016, etc.) and the 24th consecutive month of price gains overall (meaning December 2017 was higher than November 2017, etc.). Experts expect home prices to continue to rise this year, but the pace will be less frenzied than it’s been in the past. The new tax law has a few interesting implications for the housing market, mainly in the highest-priced areas of the country. The new tax bill limits the amount of property taxes you can deduct to $10,000. It also limits the amount of interest you can deduct to just the first $750,000 of mortgage debt (down from $1 million dollars). For some people, it may make more sense for them to rent rather than buy, especially in the most expensive areas of the country. If there are any ways I can help with your mortgage needs, give me a call! I’m happy to help you navigate this challenging housing market. Looking forward to assisting you too!